There are some life-saving items you may not think about when packing your travel bag for your travels and that can come in handy at times. It is surprising how many people forget the simplest of things, me being one of them. The first one, for example, is one I need to upgrade on as it’s quite important and mine definitely isn’t good enough, whoops! Some of them are not essential but they are useful to have just incase something goes wrong along the way. It’s becoming a habit of me needing first aid equipment due to my incapability of staying in one piece during my travels. Therefore, a couple of band aids won’t do the trick anymore (is it bad that I am also first-aid trained and that’s all I have with me in my first aid kit?) Especially if you are taking a few months away to travel, I would suggest a reasonably-sized first aid kit. It is likely that the people you meet will have one too (luckily that was how I managed) but you won’t always be with other people if you are travelling alone. Better be safe than sorry, ey? I always take my Nike trainers with me on my travels because they are very practical, comfortable to travel in and very sturdy. Don’t just bring a pair of sandals and flip flops as they probably won’t last and you won’t be comfortable in them when you find out you’ve booked a tour which involves some kind of long distance walking. Yes it’s easy to buy some extra underwear in supermarkets and wash your clothes in hostels but just incase you come to a point where you’ve run out of underwear, you’re in the middle of nowhere with no shops, and your hostel doesn’t have a laundry room, then it’s handy to pack a few extra. Or you can just do the classic ‘folding your underwear inside out and wearing them again’, if that’s how you roll. I must admit, I am yet to purchase these. They can be quite pricey for good quality ones and I have had no problems so far. However, these are incredibly practicable in terms of saving space and having easy access to your things in your bag. They come in different sizes and easily fit a substantial amount of clothes in each one. It would really make my travels stress-free as I have no structure to how I pack my bag. Having these clothes bags will save me having to unpack my whole bag and re-pack my bag just to find that one t-shirt. I’ve found that this is really handy to have and having more than one, incase you lose one, is even more convenient. Through a lot of these tours, or accommodation, you have to provide your ID which is normally your passport. Some places don’t accept copies but others do and, not sure about you, but it reassures me that I still have my passport locked up somewhere safe back at the hostel rather than behind the front desk with a stranger I met yesterday. Nearly all my accommodation from my latest trip provided towels with the room which was very unexpected but also very helpful. To save some space in your bag, check the facilities each accommodation offers as it may save you taking your towel. However, if you are going on day tours or to the beach then it is more than handy to have your own on you. I have a very thin one which folds up incredibly small so I will always take it with me as it doesn’t take up much room at all. They are only light and won’t take up much room of your bag so why not just buy some? I will walls bring some with me or buy a cheap pair along the journey so I have something easy to wear around the hostel and in the shower. The last thing you want to get is a verruca or wart from stepping into a shared shower with bare feet. 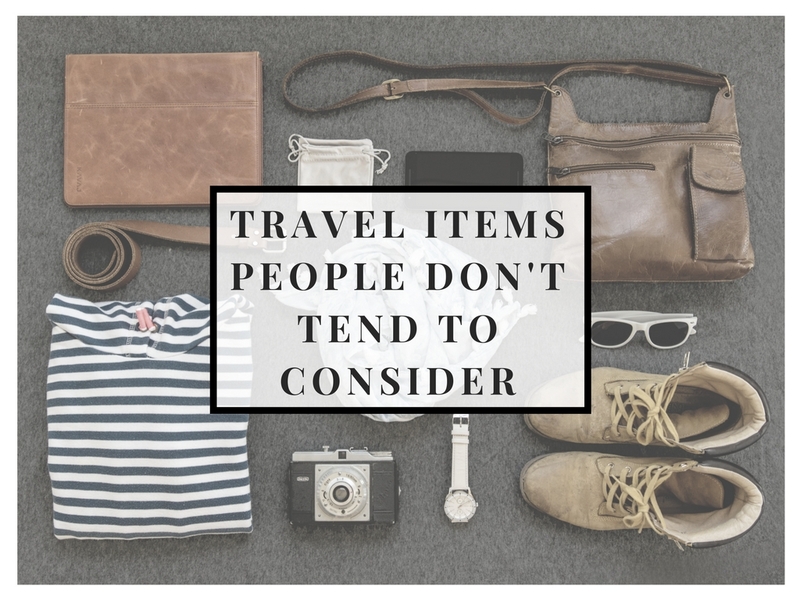 I just tuck mine into my side pocket of my travel bag and they don’t take up any space inside it then. "How to Organise your Travel Backpack"
"Your Guide to South East Asia Street Markets"